I've tried a lot of different options, but I think this is the best system that I could have ever purchased. If I ever leave this house, I'll have the same one installed by Culligan in my new place. It tastes wonderful. We aren't able to use it right now due to damage in our house, so we have been buying bottled water. 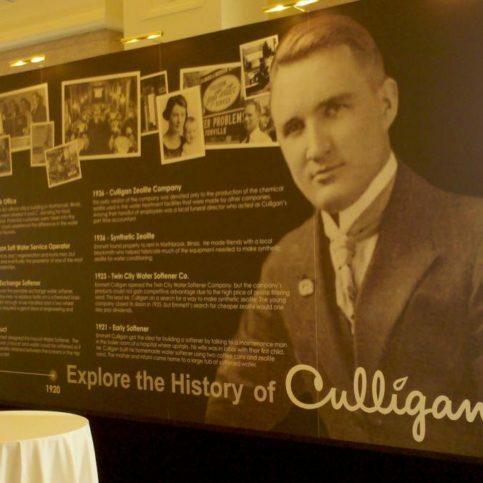 The other day my son turned to me and said that the bottled stuff doesn't taste as good as Culligan's, and I agree. 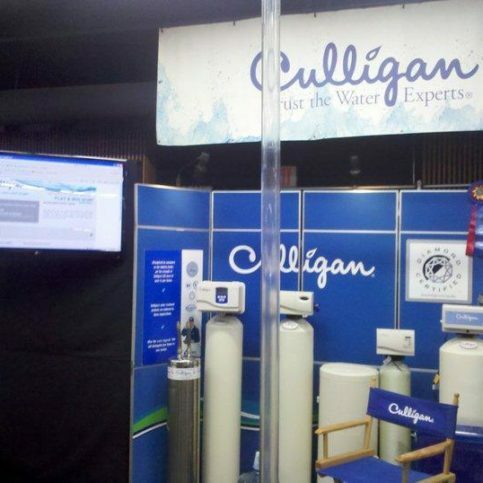 We are loyal Culligan fans. I prefer them over other water companies. They did a good job troubleshooting. They did what they were supposed to do, so I'm satisfied. It is more pure than tap water. 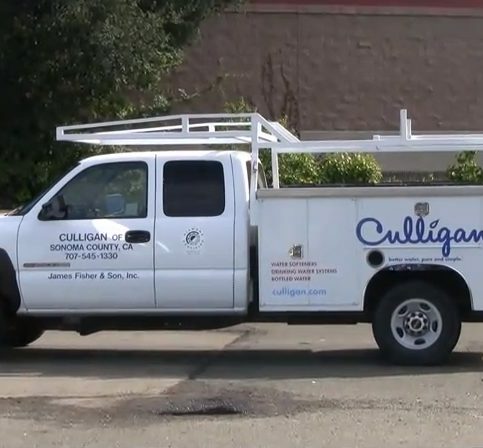 Since 1945, Culligan Water of Sonoma County has been providing a wide range of water treatment services for residential and commercial clients throughout Sonoma County. 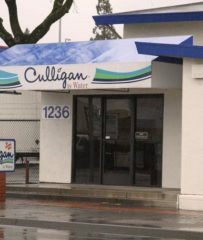 The company’s technicians are Culligan-trained and certified to repair, service and maintain all major brands of water softeners, water purifiers, water filters and drinking water systems. Its nationwide network of more than 800 dealers allows it to quickly access products that meet customers’ specific water needs, including reverse osmosis units and filtered showerheads. 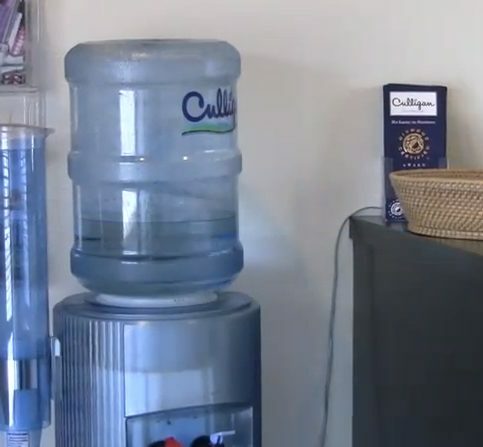 Culligan Water of Sonoma County also delivers bottled water to homes and businesses, and it can install filtration systems on existing water supplies for environmentally-conscious customers. "Our mission is to deliver high-quality water treatment products that will benefit every part of our customers' lives. We adhere to strict procedures and policies to ensure we maintain a high level of customer satisfaction. If a client is ever dissatisfied with our products or services, we'll do everything we can to make them happy." Look for certifications. Water filtration systems that have been certified by the Water Quality Association or the National Sanitation Foundation (NSF) have been meticulously tested to meet strict health and safety standards. Find systems endorsed by local health departments. Besides the NSF’s certification, several systems are supported by local and state health departments, giving extra assurance of their filtration capabilities. Make sure you have the right filters. If tests show your water has more than one pollution problem, for example, make sure you receive filters that are designed to eliminate multiple contaminants. It’s not absolutely necessary to replace filters every month, so ask how often you’ll have to change them and how much each replacement filter costs. Understand the system’s features. In some systems, the filtered water flows directly from the tap to your glass, while others require a storage tank. Tanks are good for storing water that can be used in case of an emergency, but dispensing may be slower than other systems. Understanding the advantages and disadvantages of the system can help you make a final decision. Don’t settle for the least expensive solution. A higher-priced unit may serve your needs better by being more efficient and reducing operating costs. Before you buy, get a detailed estimate of equipment, installation and average operating costs. Be aware of financing options. Water conditioning equipment may qualify for financing under FHA Title 1 or private lending agreements. Check with your local bank or finance company for more information. Your local water dealer may also offer special financing options. Q: Why should I choose filtered water when I can get it from the tap? A: There are many reasons. Many of our customers have unsafe water supplies that are contaminated with things like bacteria, mercury, lead and arsenic. Others have aesthetic issues with their water—it smells funny, it doesn’t taste right or it leaves spots on their dishes. Q: Is a water filtration system affordable? A: Yes. Not only do we have a variety of filtration systems to keep costs down, but by treating water, you can often reduce the long-term maintenance costs for your home or business. By eliminating mineral scaling, for example, you can save on tile, shower door and faucet replacements. Scaling can also dramatically reduce the efficiency of water heaters, costing you more on your gas and electric bills. In many cases, such savings can offset the initial cost of the water system. Q: Do your water treatment systems add salt to the water? A: Some do, but we have salt-free water softening options if that’s a problem. Q: I like bottled water, but I want to reduce my carbon footprint. What should I do? A: We can install a filtration system that will provide clean, fresh water without the carbon footprint created by delivery trucks. 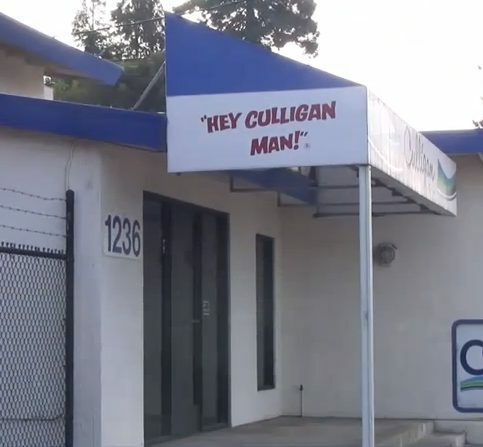 This sign greets customers when they visit Culligan Water of Sonoma County’s Santa Rosa store. 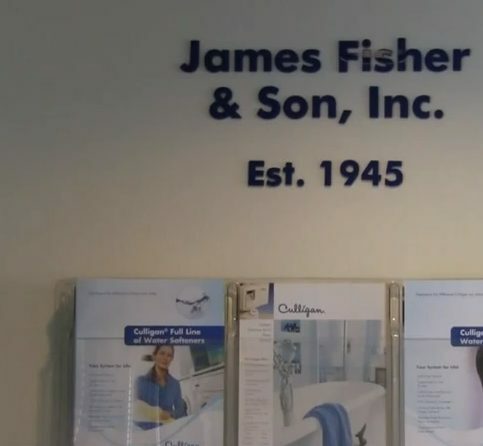 Jim Fisher is a third-generation water treatment professional and president of Culligan Water of Sonoma County, a Diamond Certified company since 2002. He can be reached at (707) 706-3947 or by email. Outside of work, Jim engages in a variety of active pastimes, including playing and watching sports. “I love golf—I’ve been playing all my life and it’s still my number one pastime,” he says. “I also love basketball. I’ve been a Golden State Warriors season ticket holder since the early 1980s, so I’ve been with them all the way from their lowest points to their recent ascension to glory.” Jim also enjoys vacationing at tropical locales. “I love any place that has a beach, whether it’s Mexico, the Caribbean or Hawaii.” Additionally, Jim likes keeping in touch with his two grown children, Jonathon and Christina. A: The classic rock I grew up listening to in the 1970s. A: Spending time with my grandfather on his property. He was the kind of guy who, when you hung out with him, your day was just filled with good stuff. A: Phuket, Thailand. I have a lifelong friend who has lived there for the past 30 years and I still haven’t visited him. A: The Fourth of July. For one, it takes place in summer, which is my favorite time of year. And since my son recently started his military service, it now has a bigger patriotic component for me as well. SANTA ROSA — There are plenty of things a handy homeowner can install independently, but when it comes to a new water filtration system, it’s best to rely on the expertise of a professional. A lot of do-it-yourselfers make the mistake of thinking a water filtration system is like any other home appliance, but it’s actually much more complicated than a refrigerator or washing machine. One common misconception about installation is that all it involves is hooking up a single water line. While it’s true that the filtration system is connected to the home’s main water line, the process of connecting it is rarely as simple as it sounds. In most homes, the line hook-up is situated to the left or right of the front door, which means connecting the system there is likely to create an eyesore. That’s why water filtration systems often need to be routed through the garage or around the back of the home, which complicates matters. Due to this and other factors, it’s a good idea to hire a water treatment professional to handle installation for you. Prior to installation, a professional will survey your home, inspect your plumbing system and make sure the equipment is sized properly. Additionally, they’ll analyze your home’s water and make sure your system has the appropriate filters. Furthermore, a full-service company can assist you with ongoing system maintenance. By expertly handling all aspects of installation and service, a water treatment professional can ensure optimum energy efficiency and water quality with your new filtration system. SANTA ROSA — Host, Sarah Rutan: There are plenty of things a handy homeowner can install, but when it comes to a new water filtration system, it’s best to rely on a professional’s expertise. 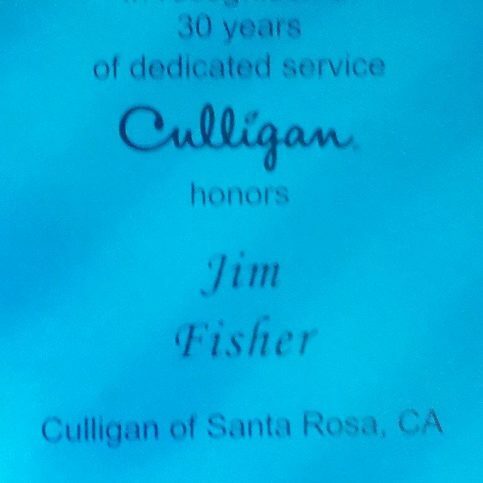 Today we’re in Santa Rosa with Diamond Certified Expert Contributor Jim Fisher of Culligan Water of Sonoma County to learn more. Diamond Certified Expert Contributor, Jim Fisher: Many people are wondering, “Should I be doing something about my water quality? I’m not right now. Am I missing the boat somehow? Are there things I’m not aware of that would be impacting my family and friends that come over?” So, because of that, you’re looking into, perhaps, considering water treatment. And you could do that with some internet options. There’s a big box choice. And there’s also full service dealers that can help you out. There are water specialists. They do nothing but that. And because of it, they can analyze the water, they can survey your home and your plumbing, and make sure that the equipment is sized properly. 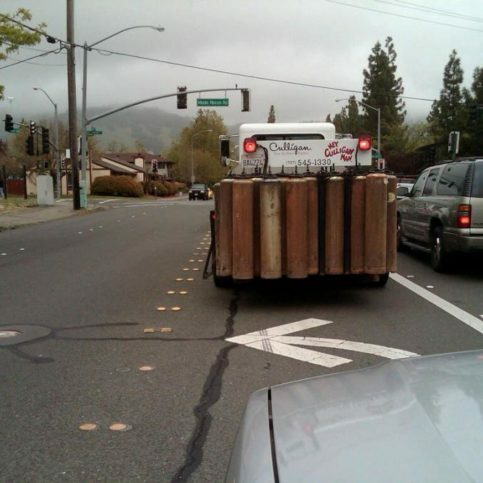 The installation is the trickiest part, in many cases, and can be very complicated, and not a do-it-yourself item at all. Wrapping it up, a full-service water treatment specialist can help you through the entire process from the beginning with water analysis, selection of the equipment, continuing maintenance, service and repair. One company can provide all those steps for you and make it very clean and easy. And many people find that’s a big advantage. 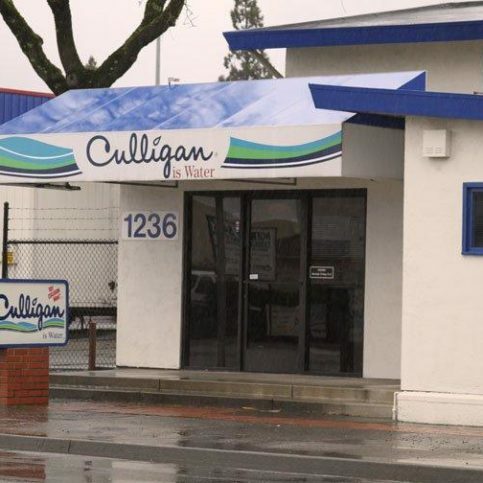 Culligan Water of Sonoma County : Average 8.8 out of 10 based on 468 unique customer surveys of customer satisfaction. I like that they show up when expected. They service my second home, and since I'm not always there, it's very helpful to know I can rely on them. They deliver the water on time. They are always on time, and the water tastes great. It is good, and it is dependable. It tastes good, and the service is good. 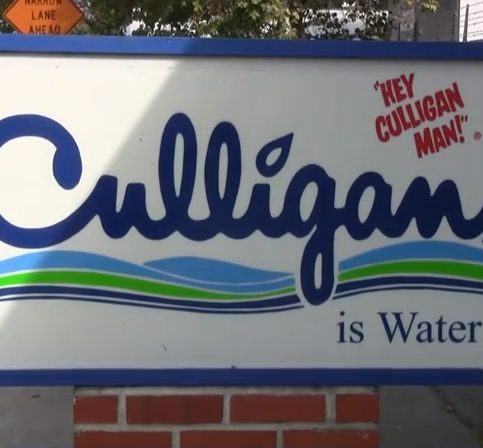 We have bad water in West County, so Culligan Water is the way to go. I am allergic to something in the water, and their filter filters it out, so it is absolutely fabulous. I tried other water companies, and they have the tastiest water, but I would say that the delivery is super expensive. I would just say that there is no chlorine or mineral taste. It doesn't taste like city water, which is nice. I like the fact that it is more pure than city water. We have it, we like it, and we would recommend it. It got the job done that we wanted, which was to get certain minerals out of the water. I like my soft water. We aren't going to advertise it, but it's fine if you need it. It works. We had rusty water before using them and now it's gone. The system has worked for us. We didn't compare them with other companies, but they seem fine. We like having the water softener, and the service is always reliable. Everything is just fine. I like their water system. I've been using them for many years off and on.